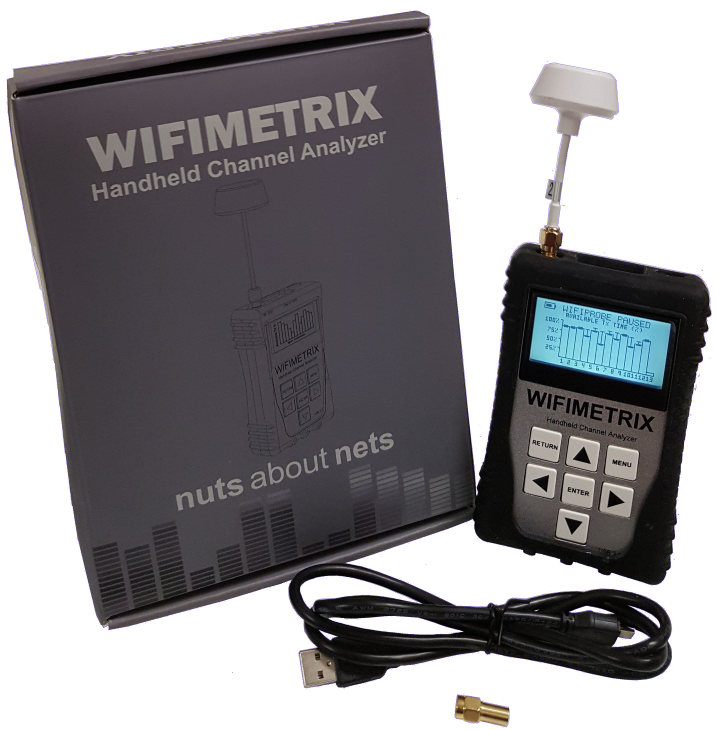 WifiMETRIX is a new diagnostic tool used to analyze and test Wi-Fi networks. It is a handheld device that operates in stand-alone mode — that is, it does not associate or connect with an AP. WifiMETRIX implements two important features — AirHORN and WifiPROBE. The built-in Wi-Fi chip can perform both signal generation / packet injection (AirHORN) and throughput diagnostics (WifiPROBE) on each channel. WifiMETRIX costs only $295 USD.